Welcome to the ‘new’ News from the Burg! 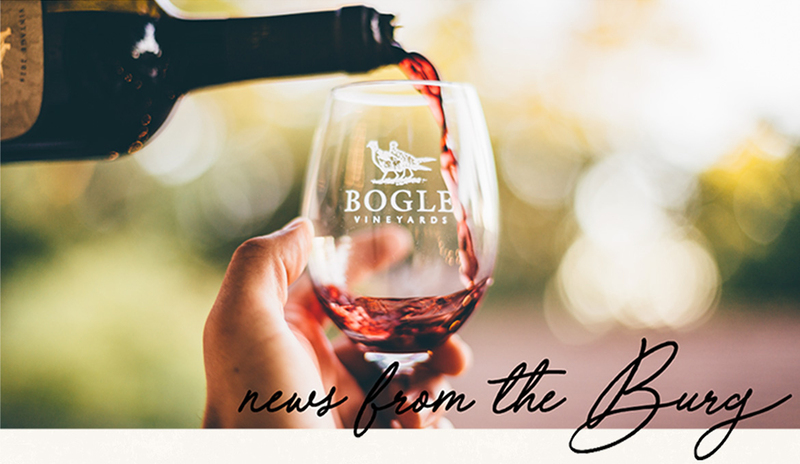 We are very excited to roll out our newsletter with a fresh look and expanded features that make it easier to discover what is happening here at Bogle Vineyards. We will continue to offer some of the great stories you have already been reading, such as our “Family Tree” section, and will be adding more tidbits from the winery each month. You will be able to count on important information about the wine club, tasting room hours and events right at your fingertips! Thank you for reading and enjoy! In the fledgling years of the winery, it seemed as if Eric Aafedt spent just as much time in the Bogle family home as he did in the cellar next door. With just a handful of folks on the payroll in 1994, it was a close knit group under Patty and Chris Bogle’s roof. “The sales desk, the fax machine, the production meetings…everything was at the house then,” says Eric. “It was almost like we lived there. We used to check the refrigerator to see if there were any leftovers we could grab. I can still picture a young Ryan Bogle sitting on the couch watching television while we reviewed the harvest schedule,” Eric, who was 28 at the time, said laughing. Hired as Assistant Winemaker, Eric initially believed he would spend just a few harvests with Bogle Vineyards and take another job somewhere else in California. That thought didn’t last long. “From my first day at the winery, I absolutely fell in love with Clarksburg,” he says. One of his fondest memories is of a day when his tenure was actually in jeopardy. Thank goodness for Eric, the red wine stain eventually came out, and the tastings are no longer held in the Bogle family home, partly for that very reason. But the practice of vinting each vineyard lot, and tasting to ensure the highest quality each year continues today. Eric says he loves the yearly challenge of creating the best wines possible. “Each vintage the grapes are slightly different, but we have always invested in improving quality each and every year. Making delicious, approachable, varietally correct wines and doing so consistently is my favorite part of the job.” Eric has managed the entire production team since he was named Director of Winemaking in 2012. When not at the winery, Eric enjoys biking and occasionally rides along the river from his home in Sacramento to the winery in Clarksburg, which takes about an hour. Eric lives in midtown with his wife, Debbie, and their 7-month-old daughter, Anya. 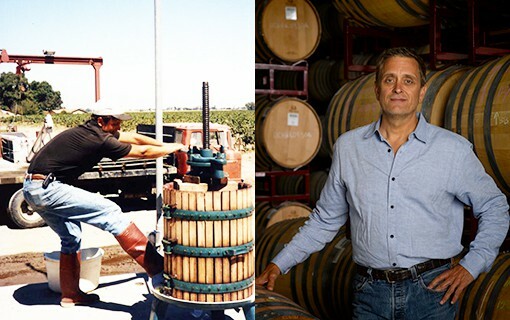 The photos above show Eric hand pressing grapes in the early days on the job with Bogle Vineyards, and in the cellar today. PHANTOM: Our Favorite Fall Spirit is Back! With Halloween approaching, October has always been a popular time for ghost stories. 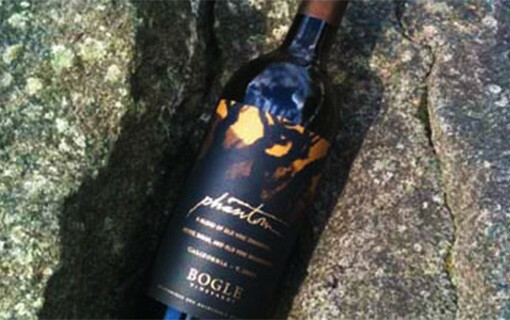 At Bogle Vineyards, a few employees even have a few of their own and one that explains the creation of the Phantom label. With only a handful of employees working for the winery at the time, everyone had their own encounter with the winery ghost. These ghost stories are right in line with traditional Scottish lore. It just so happens, the Bogles emigrated from Glasgow, Scotland, in the late 1700’s. “ ’Bogle’ is actually the Scottish word for ‘ghost,’ a spirit that serves to frighten or perplex, a kind of a trickster.” says Jody Bogle, who traveled to Glasgow in 2011 and uncovered the history of the family’s roots. With the tales from the Old World and the ghostly experiences at the vineyard back home, Phantom was born. The wine is a unique blend featuring the richness of Petite Sirah with the spice of Zinfandel, the concentration of Cabernet and a touch of mellow Merlot. The four varietals combine to create a truly enigmatic wine. The winery ghost is now ensconced in the bottle, so enjoy a glass before it disappears again. With the seasons changing and crush winding down, Bogle winemakers can breathe a little easier, with just a few fields of Cabernet Sauvignon left to bring in. While this year’s harvest yielded lower quantities from each ranch, the resulting fruit was more concentrated and nuanced than recent years. 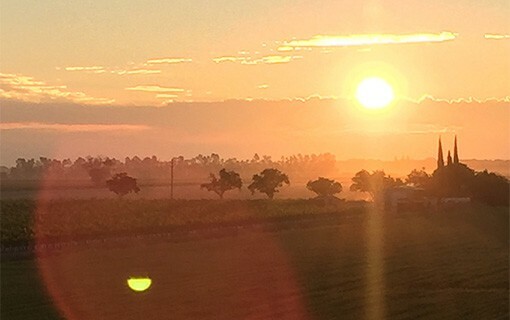 Winemakers expect these 2015 vintages to be exceptional…now we just have to wait! View our Crush 2015 video here!